As a working mother and business owner myself, I know time is precious. Every moment counts. That’s why I’ve made it even easier for the CEO, shoestring entrepreneur, marketing executive, local business owner or anyone else responsible for growing their business in 2011, to sort through the chatter of Internet Marketing ideas and zero in on the primary strategies you need to market your business online. I’ve compiled a list of six important action items you need to implement now to grow your business in the new year. Please note the following is a quick action list. For a more in-depth look at any of these topics, you can pick up a copy of Low Budget Online Marketing for Small Business or Marketing in the New Media. Whether your customers get their information from Twitter, Blogs, Google or anywhere else on the web, the right keywords play a critical function in ensuring your business is found at the right time. Understanding which keywords you should be using in your web page updates, product description, tweets, press releases and everything else you post online should be at the core of your Internet Marketing strategy. Take a few hours to find the best keywords for your products. Use a program like Market Samurai, WordTracker, or Google Keyword Tool to discover 2-3 word phrases that describe your product and offer high search volume with low competition. Then implement the top phrases throughout your posts, web page and any other spot online your company is mentioned. Learn more about any of these tips in Holly Berkley's Internet Marketing Books. Whenever possible; make it easy for customers to book appointments and purchase your product online. Depending on your product, there are plenty of cost effective ways to sell online today that no longer require expensive custom shopping carts. Small businesses can use Google Checkout, Pay Pal, Yahoo Shopping and other resources to safely and easily accept credit card payments. 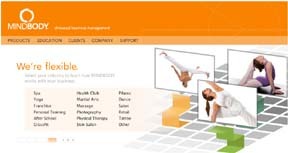 Yoga studios, gyms and spas are using online tools like Mind Body to help them manage online appointments and post class schedules. Low cost solutions like those provided by Mind Body Online, allow small businesses to easily book appointments and post class schedules. With your keywords in mind, participate in social networks often. Free social monitoring tools like NetVibes.com allow you to instantly find out where the conversations online are happening that relate to your product or business. Join the conversation with meaningful advice and feedback to gain targeted, well-timed exposure for your business. Especially for local businesses, reviews on directories like Yelp, Kudzu and Google Places is crucial. Many times, these reviews will show up in the search engines before your actual business web site. Check your business listing on these directories often. Make sure your business information is up to date and encourage happy customers to post reviews. If you have a negative review, contact the poster immediately to see how you can make it right. If you’re lucky, they will modify their review or remove it completely. No matter how customers find you online today, they will eventually end up at your web site before making their final decision. Chances are, they have already read your great reviews, were impressed by your blog posts, and followed your tweets. Now is your chance to close the deal and turn that lead into a customer. Professional looking web sites don’t have to cost a lot. Save money on custom design by using a template from Template Monster.com. 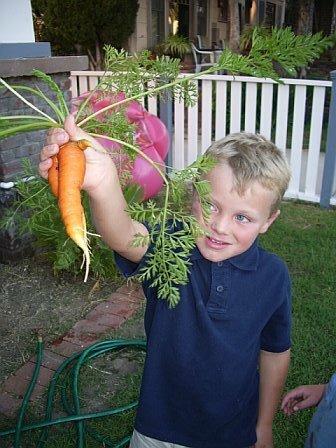 What are you going to do to ensure your business grows in 2011? Do you have an online marketing tip you’d like to share? I’d like to hear about it. 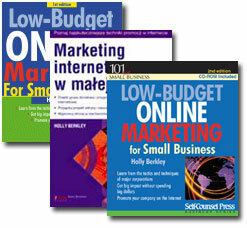 Holly Berkley is the author of Low Budget Online Marketing for Small Business – the short, easy to read, actionable guide to marketing your business online. The book has been translated and re-released internationally. The fully updated, 3rd edition was released November 2011 and is the perfect read for the small business owner, shoestring entrepreneur, or marketing executive hoping to find cost effective ways to grow their business in 2011. Get your copy here. This entry was tagged 2011 marketing plans, blogger, business advice for 2011, business tips, google check out, google keyword tool, grow your business, holly berkley, internet marketing books, keyword tool, low budget marketing ideas, low budget online marketing for small business, Market Samurai, marketing courses, marketing in the new media, mind body online, new year business tips, online marketing books, online marketing consultant, online marketing tips, pay pal, word tracker, wordpress. Bookmark the permalink.